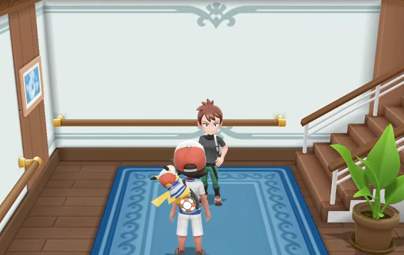 Directly before finding the Captain in his room on the S.S. Anne, you will again run into your Rival. He will mention that the Captain can teach your Starter Partner Pokemon the Chop Down Technique; however, he isn't really feeling all that well. After telling you this, your Rival will again challenge you to a battle. His Pokemon have continued to get stronger, with his Pidgey even evolving since the last time you faced him. After defeating your Rival once more, you will be able to see the Captain of the S.S. Anne. By helping him relieving his seasickness, the Captain will teach your Starter Partner Pokemon Chop Down.